Remember to have fun if you can and avoid clicking on those phishing links and opening those ‘too good to be true’ emails. Our services will be running over the holiday period and, depending upon which one’s you have, monitoring, protecting and maintaining your systems and alerting us to any problems. Do you use Windows 7? Office 2010? Exchange 2010? Millennium Bug, GDPR and now the 2020 Problem. A number of Microsoft titles are going ‘end of life’ in 2020. Previously many people didn’t care about these things until the computer needed replacing and then buying the new version of Office, Windows, etc but, for businesses, GDPR now has to be considered and using unsupported software is frowned upon. If you’re on an earlier version of window 7 and it’s the 32 bit edition you may need to spend longer making sure any programs you run are 64 bit compatible. We’ve written a guide for you to download please check out our Make Sense of IT section on the website . https://i0.wp.com/www.tknowit.net/wp-content/uploads/2018/09/2020problem.png?fit=212%2C296&ssl=1 296 212 Nick Teasdale https://www.tknowit.net/wp-content/uploads/2013/10/tKnowIT-logo-blue.png Nick Teasdale2018-09-13 10:30:402018-09-13 10:30:40Do you use Windows 7? Office 2010? Exchange 2010? For a number of years we haven’t had a real fax machine or fax line to the office and instead we used an Internet Fax-to-Email service. Reviewing the usage over the last couple of years we’ve had 3 faxes, all from an advertising service which doesn’t cover our area anyway. The internet fax-to-email service has been reliable, we assume, and extremely cost effective and much less than having a fax line rental and fax machine (and consumables) to pay for. If you still need to receive Faxes then we recommend the service. As most people communicate with us by phone or email (and can scan things) we have removed the fax number from service. Are you doing backups ? Do you know how long it will take to recovery the data? Do you know how much money your business will lose whilst your systems are down or restoring ? On 8th April 2014 Microsoft will end support for both Windows XP and Office 2003. Anyone running their business network with Windows Server 2003 servers should be already planning for end of support for this in 2015. Windows XP has been around for a long time and has been so popular that many users have stuck with it rather than moving to newer operating systems, probably because it was much more reliable than Windows 95, 98, Me (who remembers that one) and 2000 but also better received than its successor, MS Vista. Designed with internet and email access built-in, Windows XP connected with ease to printers, cameras and other peripherals and brought in new security measures for PCs. If for no other reason, security should be why you replace your machine before April 2014. 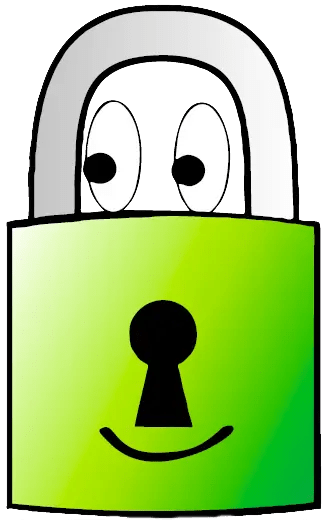 You will be familiar with the weekly updates your machine receives from Microsoft and many of these updates are to resolve security ‘holes’ found in the operating system. If you are running some internet security software this is unlikely to offer protection for Windows XP from April 2014 or shortly afterwards. This makes online banking and purchasing a very unsafe thing to be doing on a Windows XP machine. Since the very unpopular MS Vista, and after listening to customers, Microsoft’s Windows 7 software worked with a much wider range of hardware, peripherals and software. 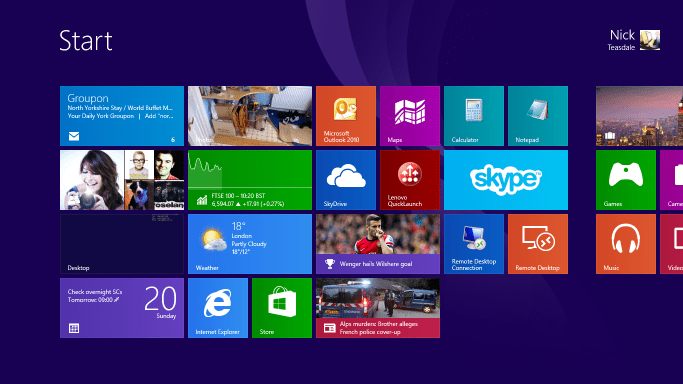 Now Windows 7 has been superseded by Windows 8, designed to be easy to use on touch screens. This has not always gone down well with laptop and desktop users who have found it ‘long-winded’ to shut-down and some are annoyed by the ’tiles’. Over the years Microsoft have released service packs to Windows operating systems which are typically a collection of bug and security fixes. Microsoft has recently released Windows 8.1 which could be taken as the first service pack for Windows 8 and reintroduced the Start button to make it easier to showdown desktops and laptops. Windows 8 also introduces and integrates more ‘cloud’ services. 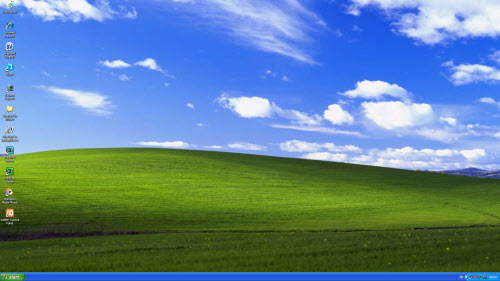 So if you’re a Windows XP user where should you go next? Jump ship from Microsoft-based PCs to Apple-based Macs. Typically at the high-end of the price range of computers but users typically complain less about problems. You can also still get a version of MS Office for Macs if you need to create documents, spreadsheets and prefer MS Outlook as the email client. Move to a Linux machine. More difficult to source and more typically built by someone who is familiar with PCs and operating systems. They can work out to be fast and cheap. Move to a Chrome machine. Typically you will store everything in the cloud and rely upon a decent internet connection at all times. Purchase a new Windows 8 PC. Most computers in the high-street stores and online stores are still Windows based machines. Many of your programs can be reinstalled but also your data (documents, photographs, etc.) will be easy to transfer. What if you’re an Office 2003 user? You can upgrade to MS Office 2013 or one of the new MS Office subscription options. Alternatively consider the free LibreOffice/OpenOffice Suites if you’re not bothered about Outlook for email and don’t need all the MS Office features but still need to edit Word/ Excel documents. If you are a business user then feel free to try out one of the Microsoft Office365 options on a free 30 day trial or call tKnowIT to assist you. Microsoft Windows 8.1 is now available as a free update to Windows 8 platforms. Windows 8 works well on tablets but some people have found it slightly frustrating to use on a non-touch laptop or PC. Probably the most frustrating feature to most was how to shutdown or reboot the computer. Normally a tablet is not turned off but put into standby or sleep so there is no need for this to be obvious but when the same operating system is used on a laptop or desktop then a combination of mouse waiving and button clicking gets tricky. By reintroducing a Start button type icon in the bottom left corner of the screen most people should be happy again – even though most people only ever clicked the ‘Start’ button to turn off the PC. Left clicking on the button toggles between tile mode and desktop mode; right clicking the button brings up a number of options including access to the control panel and importantly the shutdown /reboot options. Some of the other updates are more subtle but they will probably make windows 8 easier for people to use, who are familiar with windows 7, but may not be aware of all the things that happen when you put the cursor at the bottom of the screen or in the corners of the screen. My test machine has been running windows 8 for a while and has performed much faster than windows 7 on the same hardware. Last night I downloaded the windows 8.1 update directly through the Windows Store on windows 8. Once you start the download that’s it until it asks you to reboot the machine. I have the luxury of an FTTC broadband connection so the download didn’t take too long and the windows 8 laptop is a Lenovo Edge15 core i5 (1st gen) , 4GB RAM and importantly an SSD drive (upgraded from original hard drive). The SSD probably made a big different to the speed of the upgrade process but the whole process took about 1 hour and required probably a couple of reboots for windows to discover hardware again and check settings , apps, etc. After a few hours of use today I would have to say everything appears to be ok. I notice that some of the plug-ins for Internet Explorer (Java and Lenovo password vault) are disabled and a ThinkPad USB 3.0 Dock I use to connect the laptop to a couple of large screens , full keyboard and mouse whilst in the office did not display anything on the screens. Lenovo are usually on the ball with updates and although there was no update available via the system updater I found a link on their support forum to an update for the ThinkPad USB 3.0 Dock on another site. After downloading and running the update the two screens sprang back to life. I found Windows 8 very easy to use and the inconvenience caused by the odd shutdown process was outweighed by the performance, boot times, etc. Windows 8.1 will hopefully make things even better and encourage others to make the change.